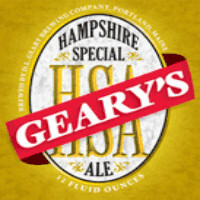 Last month I got to drink Gearys Hampshire Special Ale that turned out to be a disappointment. My beer buddies, who have tasted the beet before claimed that the bottle I shared with them was old and that it’s actually an alright beer. Since that tasting I shared another bottle from D. L. Geary Brewing who are based in the beautiful city of Portland, Maine that I haven’t got to write about yet and then, a couple of weeks ago, bottles of Hampshire Special Ale and Summer Ale arrived via Beer of the Month Club. 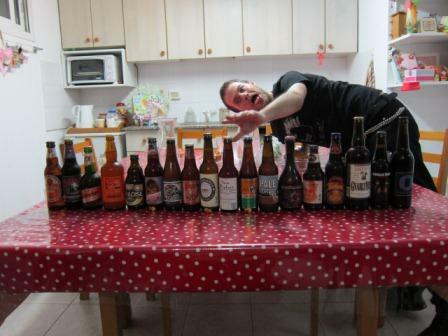 All these bottles call for a more thorough entry about Geary’s beer. Plenty of the beer I drink is uncontextualized. I have a Google Spreadsheet with an alphabetical list by country of all the beers in the 1001 book and when I look for beer to order/ scam from traveling friends, I usually just randomly schlepp whatever I haven’t yet drank. I don’t bother reading about the beer, look at reviews etc. I would have, but I just don’t have the time for it really. Also, we don’t get to choose what Clubs of America decides to send each month and that’s another surprise. But a couple of minutes ago I put a context to Gearys. According to their website, they are New England’s first microbrewery. To those who wonder whether Boston moved down south and parted with New England, D.L. Geary Brewing Company was incorporated in 1983, whereas Boston Brewing Company, that’s Samuel Adams for you, was founded in 1984. Yet, the first pints of Gearys were sold in December 10 1986, some two weeks before Status Quo took the #1 chart in the Israeli annual top 40 with In The Army Now. I’m not a historian and not the one to judge here. I’m a drinker. I drank Gearys Pale Ale and thought it was a nice beer. English Pale Ale in style, Clear-to-hazy dark orange liquid with white head that smelled of pear, flowers and some alcohol and was delicately bitter. It was lightly carbonated, had a soft, hoppy finish and a light body. 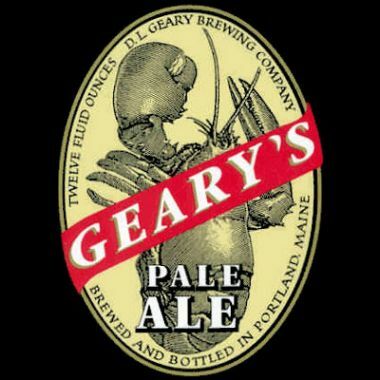 The brewery states that Gearys Pale Ale is their flagship beer and out of the three I drank it is indeed the best. Whaaat? Here it says est. 1986. I’m puzzled. 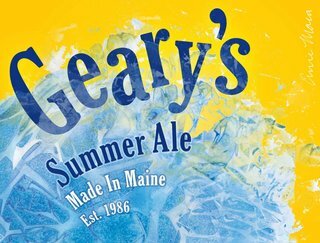 The Secret Agent and I opened our bottle of Gearys Summer Ale in a hot and muggy summer night, hoping for something light and refreshing. It started promising: clear golden-honey colour, small white head. It lightly smelled of honey and also had apricot and bubblegum notes. Taste was sweet and somewhat alcoholic. Medium bodied, sleek texture, alcoholic finish. This is also a nice beer, but whereas the sweetness and alcohol may be suitable to summertime in Maine, it is just too heavy for Tel Aviv’s heat and humidity. the label isn’t that pretty. 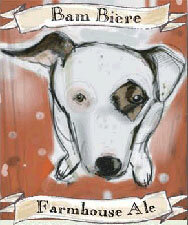 Last night we drank the Hampshire Special Ale again. I’m glad to say that my buddies were right and the beer is alright, but with Sweet malt caramel, ripe fruit aroma and a medicinal, alcoholic bitterness with hints of acetone in the mouth, it’s nothing more than that. Conclusions? Don’t have any. 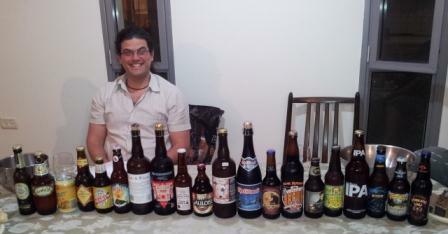 Those beers are OK to drink if they are available in your area. Unless you are on a mission, don’t waste too much time or energy hunting for them. Geary’s Pale Ale is beer #86 I must try before I die.